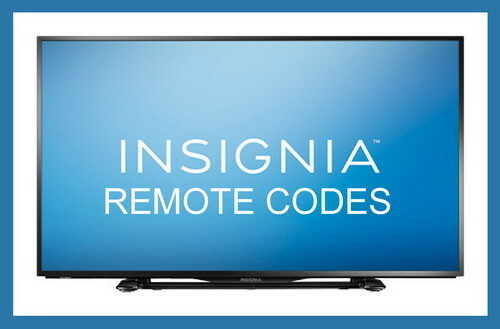 INSIGNIA TV Remote codes, use the below codes to control your Insignia TV with a universal remote. If these codes do not work or you have other codes that work, please leave a comment below. I cant find a code for my insignia tv model NS-24D310NA17. I am trying to set up a SHAW remote. I have a signature SR101 REMOTE I DONT KNOW HOW OR WHAT CODES I FOR MY IN INSIGNIA TV. None of the codes worked for my Insignia NS-39D400NA14 television with a Sony RMT-B115A remote. I can’t find a code that works for Insignia Roku TV. Trying to use RCA RCRPS02GR remote. How do I turn on the video mode on my Insignia TV? I can’t find video mode in settings or when I push the input button. When I hook up my DVD player and push the video button nothing happens.